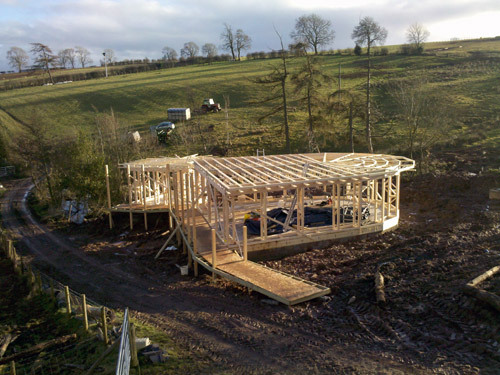 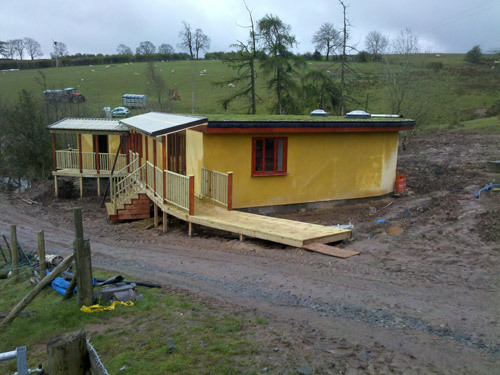 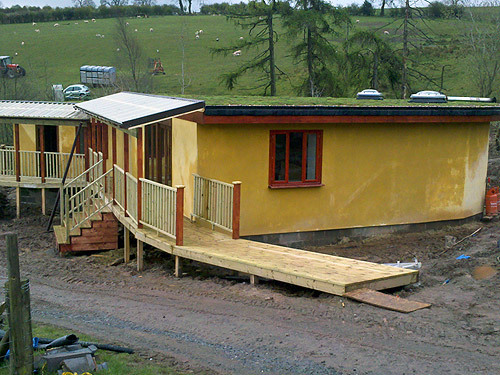 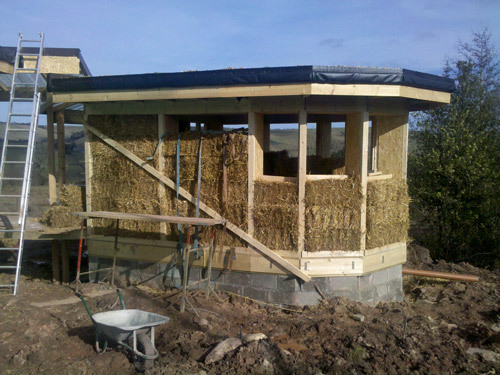 The straw bale classroom at Brynmawr Farm near Craven Arms, Shropshire, was built using the timber frame construction method so that the bales could be fitted into the frame with the completed roof in place. 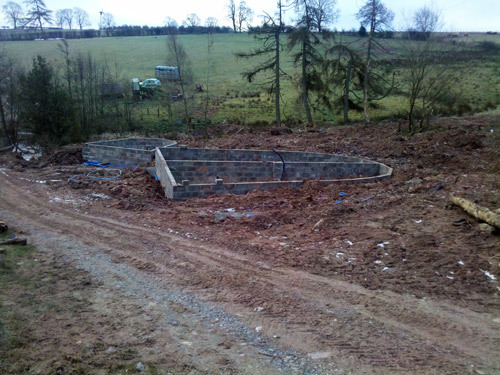 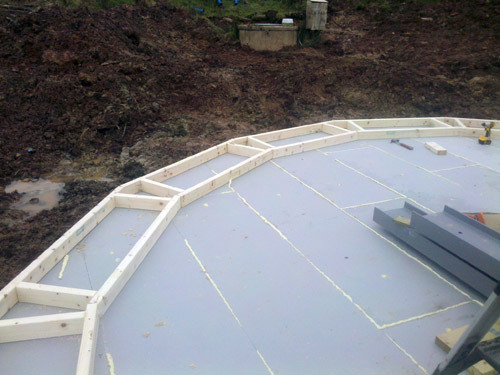 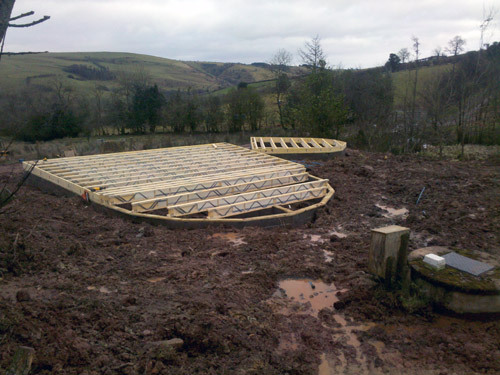 The building work commenced in late 2011 so it was essential to have a roof under which to work during the winter months. 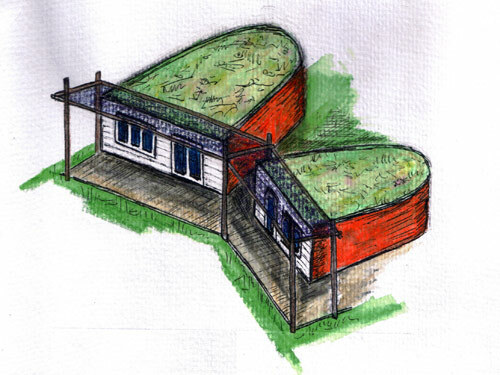 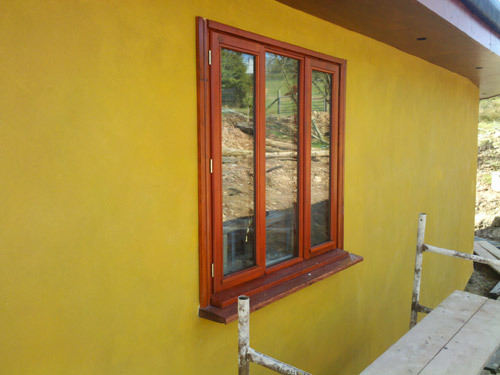 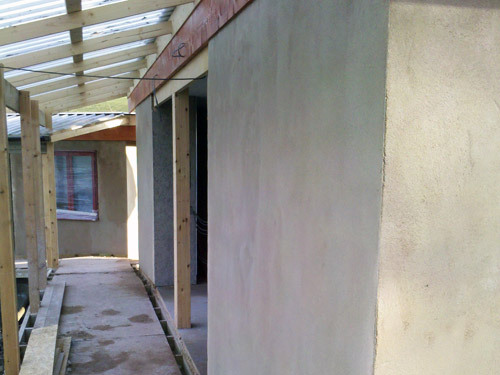 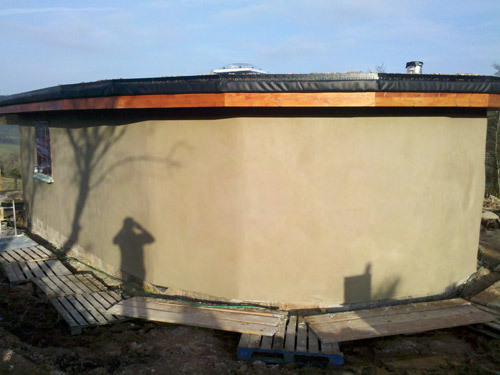 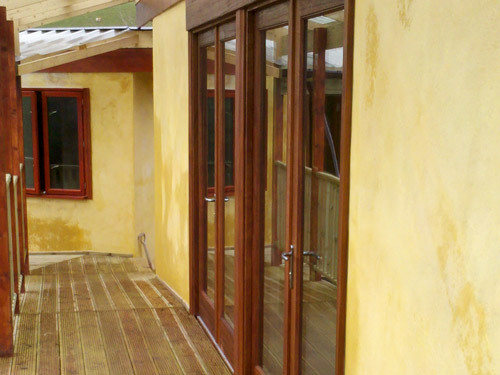 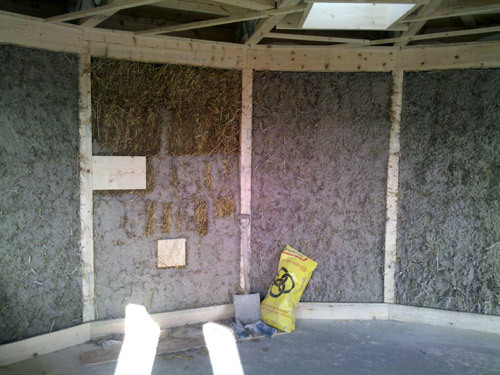 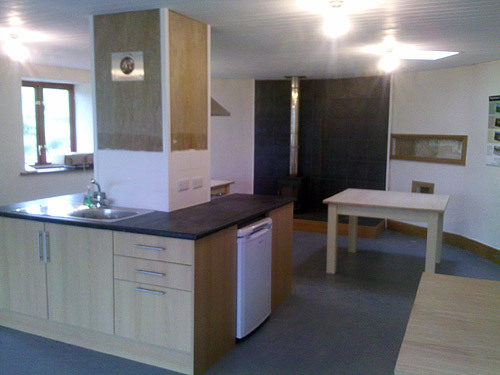 The straw bale walls were rendered inside and out with lime when the weather was warmer. 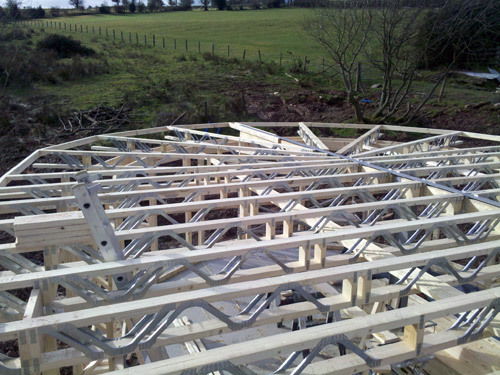 Easi joists were used to form the floor and ceiling. 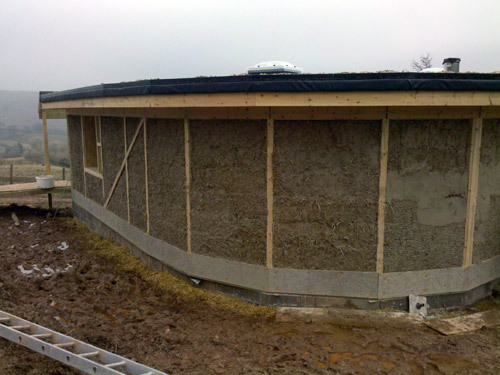 They were insulated with 300mm batts made from recycled plastic bottles. 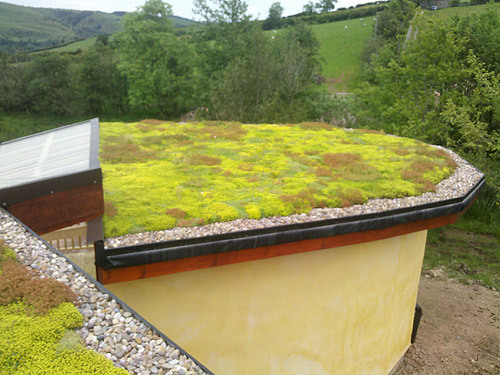 The multi-layered green roof was topped off with sedum matting containing 16 varieties of plants that can survive periods of low rainfall.